Greece is the Mediterranean sailing destination that has it all. With better weather conditions than Italy, cheaper yacht charters than Spain, more marinas than Turkey and many more islands – with more beautiful beaches – than Croatia, the reasons to head to Greece quickly add up… and that’s even before you start picturing yourself anchored in a beautiful bay in the Cyclades lying on deck with a chilled glass of Retsina wine. Recent economic troubles may not have proved the perfect advertisement for tourism, but it hasn’t affected the hospitality of its generous and warm-hearted people and indeed for those looking to book a sailing holiday you should be able to find better value for money than ever before. So called because they form a circle around the sacred isle of Delos (now an uninhabited UNESCO listed site with incredible ancient ruins to check out), the Cyclades comprise of 220 islands in the Aegean sea; and their proximity to Athens mean they are the first point of call for many island-hoppers, holiday makers – and sailors. When you imagine the picture postcard visions of Greece, with white washed villages on rocky windswept shores, sandwiched between cloudless skies and deep blue/green waters, the chances are it’s the Cyclades that you are calling to mind. From hitching a donkey ride up the impossibly steep and gorgeous volcanic slopes of Santorini (aka Thera) for a dinner of fresh octopus and Retsina, to lazing on the beaches of Naxos where the Minotaur-slaying Theseus once abandoned Ariadne, to sipping fancy cocktails on the trendy island of Mykonos, famous for its windmills, hedonistic nightlife – and resident pelicans – the Cyclades offers a diverse range of pleasures for the adventurer. 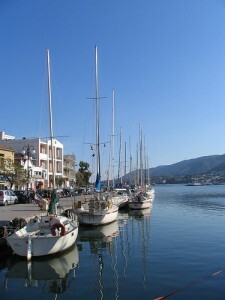 Amongst all of Greece’s sailing regions the winds here are the strongest though, particularly in summer (mid-June to August) when the Meltemi wind picks up, and less experienced sailors who wish to charter a bareboat yacht are advised to book their holiday slightly off season – especially as the weather is still excellent and the rental prices lower. If the Cyclades grab the headlines they are far from Greece’s only treasures. Indeed romantic souls may even to spend their sailing holiday circumnavigating the lush landscapes of the Ionian islands that jut up on the west of mainland Greece, across the Ionian sea from Sicily and southern Italy. These isles are both blessed with natural beauty and steeped in literary history, from the steep cliffs and fishing villages of Ithaca, the legendary home of Homer’s wandering hero, Odysseus, to the idyllic beaches and vineyards of Kefalonia (often spelt as Cephalonia), the setting of Louise De Berniere’s fantastic novel Captain Correlli’s Mandolin, and not forgetting the cyprus trees and olive groves of Corfu, praised by the Durrell brothers. The latter is also one of Greece’s major holiday resorts and, whilst you’ll want to avoid some of the overdeveloped areas, Corfu’s old town and Venetian palace are an essential mooring point for culture and architecture lovers. A good chance to overindulgence in some Greek ouzo as well! The fourth largest of the Ionian islands, Lefkada (aka Lefkas) is annexed to the mainland by a 25m long bridge, and is also worth visiting, especially the western beaches. As you can reach it by car it’s a great logistical point for hiring your sailing yacht / motorboat. Lefkas Marina is one of the finest in the land with berths for 620 boats and a number of yacht charter companies offering vessels for bareboat or crewed rental (tip: type “Lefkas” in our search engine’s destination field to compare all available boats in the marina!). Greece’s third most popular archipelago for sailing is the Dodecanese, which is actually much much nearer to the coast of Turkey than that of Greece. The best way to reach these isles is to fly to either Rhodes or Kos, which – apart from having their own airports – also boast busy marinas from where you can charter your yacht. Not that you’re necessarily want to sail that far. Rhodes’ old town is a romantic labyrinth of cobbled streets behind heavily fortified walls and easily one of the most impressive sights in the whole of Greece. Nor is it the island’s only attraction. Travel the length of the isle’s pine forested interior and you’ll arrive at Lindos, with its temple ruins and picturesque St. Paul’s bay, and en route you can stop off at the Valley of the Butterflies for natural beauty, or Faliraki for blue flag beaches and Ibiza-style party madness. Kos is another beauty and with its crystal clear surrounding waters and pristine beaches deservedly popular. 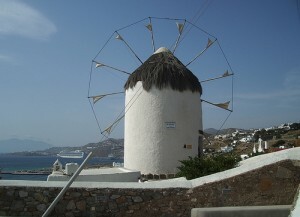 For more remote shores to weight anchor in try Patmos, Samos and Symi. As long as your papers are in order you’ll also be able to cruise into the nearby Turkish ports of Bodrum and Marmaris, and depending on logistics you may even wish to charter a yacht in Turkey and mix exploring the Turkish coastline with the Greek islands. 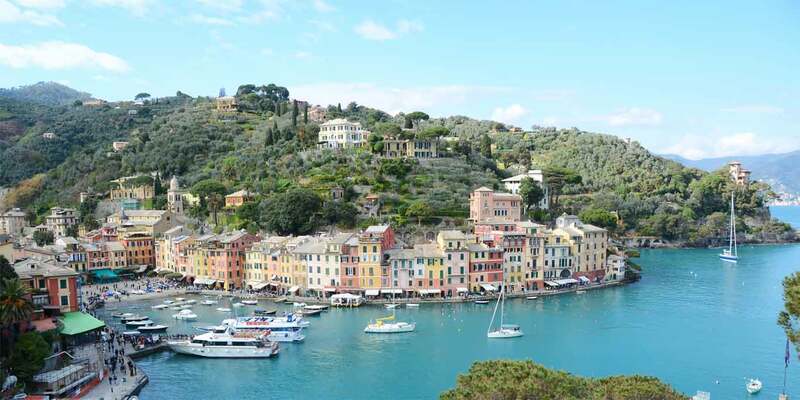 This area of the Mediterranean is calmer than the Cyclades for example and stays warmer even longer – you can head out on vacation as late as November with no problems at all. Aside from the major archipelagos of the Cyclades, Ionian isles and the Dodecanese, there’s still the lesser known but equally fabulous Sporades archipelago plus the islands of the Saronic Gulf to discover, not to mention Crete, with its Minoan ruins and dramatic gorges, which sits separated from the rest in the southernmost part of the Aegean. In fact there’s easily enough to discover in Greece that you’ll need to book six or seven sailing holidays to see it all! To rent bareboat and skippered yachts, motorboats and catamarans in all the aforementioned destinations head to our search engine and type “Greece” in the destination field, and your dates, and off you go. Alternatively type in the main marinas of Kalamaki (Athens/Cyclades), Lavrion (Athens/Cyclades), Lefkas (Ionian), Rhodes (Dodecanese) and Kos (Dodecanese), for more location-specific boat searches. Try our search engine. We’ve got 100s of boats available in marinas all around Greece! If you can’t find what you’re looking for then send us your request via our enquiry form instead. Check out our guides to sailing in Croatia and Spain yacht charters for more inspiration.